We have an extensive variety of grazing muzzles and Best Friend Standard Cribbing Muzzle on sale now at economical pricing. Rest assured you will be given only superior value products here at our online Horse Tack Store. Many of our Horse Tack products including this Muzzle are on sale now and ready to ship out. Has all the features of the regular Best Friend Muzzle including four straps, breakaway safety and padded nose band. This muzzle is made to last for many years to come and rest assured you are buying superior quality products here at Horse Tack Now. It also features an aluminum grill which allows for eating, but stops chewing and cribbing. 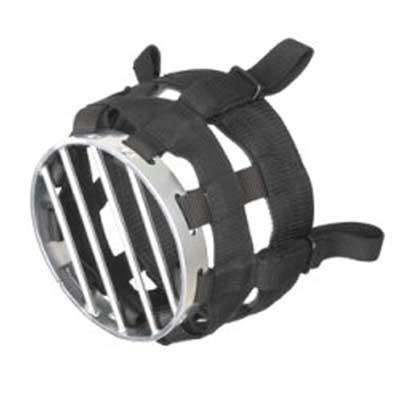 This Best Friend Standard Cribbing Muzzle was carefully designed to provide maximum durability.